With baby girl arriving any day now, I have been trying to get a jump start on holiday shopping! I love the curated collection at Red Envelope….I feel like their buyers do the hard work of finding unique and stylish gifts, and I can log on and select presents for our whole family! I can even search by recipient, which is a great feature. 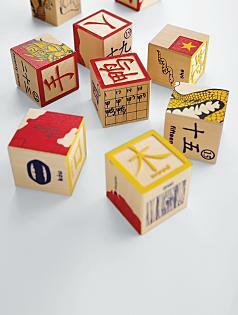 Since we have a special fondness for exceptional baby gifts, we recently selected these chinese baby blocks. The quality is outstanding, and we love the heirloom quality of the wooden blocks. We know babies are very impressionable, and we love the idea of teaching a little one a foreign language early on. Of course…I will be reading baby girl Italian children’s books!